When this dust settles, which it does eventually, it wreaks havoc on the air in general, and people and pets in particular. We have never experienced a haboob and don’t want to. I’ve seen video and heard horror stories about what you’re supposed to do if you’re driving, how to shelter in place, blah blah blah dust. One of the first places we went when we moved to Tucson, before we’d even started building the house, was a wine tasting place called Wine Depot. It was an interesting establishment that served Old World wines from Germany, France and Spain. We were desperate for a place to go, having been so spoiled in California. We went on a Saturday, late afternoon. It was hot, and there weren’t many people there. The owner, who was German and his wife, who was Mexican, were both pouring wine. Soon enough, we were the only ones there and so we fell into conversation with the wife. We told her we had just moved to the desert, what our plans were. She asked where we were living and where we were building. She said to be prepared for the dust. The dust? we asked. It’s constant, she said shaking her head. You cannot escape it. She went on to tell us that if we had a dog, we needed to be careful it didn’t get mixed up with a Gila monster because, while not poisonous, they will bite and latch on, lock their jaws, and not let go. She told us of having to rush her dog to the vet with a Gila monster hanging off its neck. We laughed nervously. We haven’t experience the Gila-latch, but we have experienced the dust. Have we ever. It’s impossible to remove; impossible to get ahead of. You can dust using a rag and spray, and it doesn’t seem to matter. Even the dust has dust. I dusted today. As I did, more appeared right behind where I had wiped my cloth. Miscellaneous and errant dog hairs also took up residence. It’s prolific, the dust, all-consuming. It makes the house look dirty even when, technically, it isn’t because I just dusted the other day. Thank dog I don’t have a lot of stuff. It would be impossible to keep it all clean. I’d no sooner get done dusting than I’d have to start all over. It would be an endless loop, a hopeless cycle, a horrible way to spend my days, the stuff of Stephen King novels. Kevin has the same issue with bugs. We’ve been inundated with box elders. Thousands of them cling to the house and the deck, dying slowly from the “kool-aid” that Orkin pours along the perimeter. Each day, he takes the power blower and blows them away. And as he walks away, ten more appear behind him. Life in the desert in June. Ben Franklin said: "We are all born ignorant, but one must work hard to remain stupid." This brilliance is something I think about nearly every day as I click through the news. I am forever amazed at how uninformed and willfully uneducated so many people remain, even in this age of instant information literally in your hand. I get push notices on my phone; breaking news alerts as they happen. I have my fitness tracker set up to also deliver whatever alerts my phone has received. They are tied together by Bluetooth. The internet itself is a bastion of information. It matters not whether you lean left, right or stand fairly straight in the middle. It’s easy to find information about what you’re looking for. It’s easy to educate yourself. Main stream news happens to be my preference because I don’t always want dogma and the left slant. I know how I feel; I know which way my emotions and loyalties tilt. What I want is reporting, news. I crave the facts. Opinions are fine and I read those, too, but I don’t only read people who agree with me. I try to also sneak into enemy territory in order to get a glimpse into how they’re thinking and feeling. Sometimes I get a lot of good information there, too. I don’t always agree with it, but I can appreciate its clarity of thought. As Jack Ryan said in The Hunt for Red October, in Russian – “It is wise to study the ways of one’s adversary.” –and Captain Ramius answered, in English – “It is.” – it’s important to know both sides in order to have a well-rounded opinion of your own. And to have the facts. Ben Franklin’s quote above offers incredible wisdom about the dumb and ill-informed. It also offers great truth. The Republicans have crafted a health care bill in total secret that will repeal Obamacare. This bothers me greatly, and not just because of the ripe hypocrisy of it all. It will directly affect me; ultimately it will affect everyone but the ridiculously rich. And most people refuse to see it. Ask people who will lose their Medicaid, whose premiums will skyrocket to nearly half of their yearly income, how they feel and they’ll say they’re worried. In the next breath, they say that the president will never do that. Meanwhile, he’s sitting behind his tiny desk with pen poised to wipe out millions of people with his seismographic signature. These, of course, are the same people who when interviewed on the street say they’re very much opposed to Obamacare but they like the benefits they receive from the Affordable Care Act. That sound you hear is me, hitting my head against anything that is hard. It beggars belief that we are this ignorant as a country, that we are this purposefully uneducated about the things that will ultimately affect our lives. I have been busy writing to and calling my representative and my senators. I do not hold out much hope because their ideology clashes so completely with my own. They simply believe it’s not the government’s job to help those who can’t completely help themselves. To which I answer, then whose job is it? I think, I feel, I help, I learn. Constantly. My question to others then, to quote President Andrew Shepherd in The American President, is: “Why don’t you, Bob?” Or Mitch, or John, or Rob, or Susan, or Lisa, or Jeff, or Dean, or [fill in another name here]. The day draws to a close, taking with it the exhausting heat we’ve been experiencing in the west. Tomorrow comes the release of this new bill. Tomorrow comes the further exploitation of the ignorant. Justin wants to somehow force people to become educated and I can’t seem to convince him that it’s not possible. But I admire his passion. I admire his hope. Because as Benjamin Franklin also said: “The doors of wisdom are never shut.” And that possibility is worth celebrating. At any given time, the number of women in this country who are on a diet is somewhere around 50%. That’s according to the Judy Mahle Lutter book “The Bodywise Woman.” Others have estimated it to be half that much. Regardless, when you consider that there are some 126 million women, that’s a bunch. Up to 90% of teenagers diet regularly and even 50% of younger kids have tried a diet at some point. The numbers aren’t that hard to believe when you realize that, according the Marketdata, Americans spend somewhere between $46.3 billion and $100 billion each year on weight loss products. It’s probably because the Centers for Disease Control have told us that 62% of us are overweight or obese. Another 9 million kids are suffering from that particular malady as well. I bring all of this up because I have no idea now to diet. I was a fat baby but after that, I was pretty slim. I went through high school thin, though never skinny. I had a brief flirtation with what it was like to gain wait when I was in college, which I blamed on dining hall food. That quickly got under control when I moved into an apartment and started working at a restaurant known for its pizza. I also catered for a restaurant known for its clambakes on the beach. I lived on pizza, lobster and alcohol, and was in great shape. I was also 21. Another flirtation with minimal weight gain happened in my mid 20s. I’m not sure what was behind it but I remember feeling a little thicker than usual during one trip north to wine country. It didn’t last long, and I was fairly quickly back to normal. I was always able to eat and drink what I wanted without consequence. My blood pressure has been low, my cholesterol fine. I exercised a lot when I was younger. Everything worked well. Then I turned 50. Suddenly nothing worked at all, including my ability to not gain weight and gain weight I have. Not a ton, but enough that it bugs me. Nothing fits me as well as it used to. I feel thick and dumpy. The problem I’m really having though is that because I never had a weight problem, I never learned how to diet. I don’t know how to navigate these new heavier waters. It’s foreign to me, and GPS is not working at all. And the fact is, I’m not actually a believer in diets. I think most people are too harsh on what they allow themselves to eat, and so they drop weight but then, because they’ve deprived themselves, they end up falling off their diet and gaining everything back plus. Moderation, it seems, is key. It worked for me in the past when I felt a little off. Cut back a bit and everything was/is fine. But did I mention about turning 50? Now the cutting back a bit doesn’t seem to work very well. I blame metabolism. I blame menopause. I blame age-rot. I blame the middle. As in my middle. The point is, I’m trying to diet in my own way, cutting back on what I eat, especially when it comes to carbs. And I love carbs. Oh, how I love carbohydrates. Pasta, bread, potatoes. Chips. I love to eat; I love to drink wine. But the middle can no longer be ignored. So this week, Kevin and I have decided – not to diet – but to eat healthier. Cut back on carbs. Eat more fruits and vegetables. Drink more water. We’re both determined to do something about our middles. Yesterday and today I made us smoothies in the morning. I poured orange juice into the blender, then added yogurt (strawberry yesterday, blueberry today), and fresh fruit (strawberries, bananas, blueberries). Blended. Poured. Tasty. For lunch today, I made salads. I always put raisins on my salads. I like the hint of sweet with the tang of salad dressing. Then I saw on HealthPlus50 that three of the worst culprits for an expanding middle are … yogurt, raisins and orange juice. Still, I have to believe that yogurt, raisins and orange juice are still better that toast, bagels, or poptarts. mmmmm. Poptarts. I think they come in blueberry, a perfect complement to my smoothies. As a rule, heat doesn’t bother me. Unlike Bobbi, who despises hot more than anything, I prefer it to the alternative. Bobbi prefers cold. They keep their AC set in the 60s if memory serves. Poor Roy walks around in a parka. Southern California gets hot, especially in the San Fernando Valley. I remember days driving from Pasadena/Glendale, west toward either Calabasas (where we lived first) and later on, toward Oak Park. Both were out of the Valley but Calabasas was closer. Calabasas actually starts in the Valley and then rolls up and over the appropriately named Calabasas Grade. Woodland Hills comes right before Calabasas. Both are tucked up against the hill, so the heat gets stuck there. Does it ever. It wasn’t uncommon in the summer, under the late afternoon sun and hanging smog to see the temperature gauge on the car climb into the low 100s. I think the highest I ever saw it was 116º but I didn’t really believe it. I figured it was the heat of the asphalt and car engines that drove it up. It was hot. We like the heat. So naturally we moved into the inferno known as the Sonoran desert. It’s a fascinating place, where it freezes in the winter – and sometimes snows – and boils in the summer. We’re not in summer yet, technically. Evidently someone forgot to tell that to the weather gods, however. It was 113º here today up on the hill. Absolutely smothering, smoldering, sizzling heat. The kind of heat where you really can’t go out. The kind of heat that, when you take the dog out to pee, you become very impatient. No sniffing; no dawdling. Just pee and get the hell in the house. Several weeks ago, we bought an air conditioner for the garage. A portable one, with a big hose that can vent out one of the high windows. In order for it to reach said window, it has to be raised. Kevin has it sitting on one of his saw tables. This morning, I turned it on early. We did some planting down at the bottom of the road, then came back up the hill. We left the Classic outside in the driveway to bake and keep the garage cool. We had breakfast. We talked to Kevin’s brother and sister-in-law, we read the paper, we cleaned up the kitchen. And then he went out to do some garage clean-up. Our little AC unit kept the area decent. Not quite cool because it’s simply too big of an area and too small of a unit, but it wasn’t horrible. Especially given the outside temps. At one point, when I took Riley out to pee in his designated area which is out the man-door off the back of the garage, and then came back in, I was amazed at how much cooler it was in the garage. This afternoon as the sun was drifting down to the west, alighting the smoke of a fire that’s burning somewhere far away from us, we took stock of the weekend. We watched the desert fade into dusk and marveled as it flattened out. The only word I could think to describe the day was simmering. Something cooking slowly. And yet still beautiful, even in its infinite harshness. Worth celebrating. If ever there was a metaphor for how I’ve been feeling lately, it’s this: today, we were without power. This happens occasionally, though not as often as you’d think given the strain on the power grid during the summer months. And it is definitely summer even though technically it doesn’t officially become summer for six more days. In mid-June in Southern Arizona summer simmers. Last year at this time we were in California, wine tasting. We drove home on Father’s Day during excessive heat warnings. As we went through Palm Springs, the temperature on the car and on my iPhone both topped out at 121º. One hundred. Twenty. One. Degrees. One of the great ironies of us having solar panels on our house, panels that capture more than enough energy to power our house, is that our solar inverters run on electricity. The second great irony is that in order to use the solar power we create, it has to first go to the electric company in order to be converted. So plenty of solar, no way to capture it, and the house slowly began to melt into the desert. Welcome to Thursday afternoon. Power runs our lives all the time but during the blistering summer months it also keeps us alive. We wouldn’t have died without power for a couple of hours, even through tomorrow, but it would have become uncomfortable. We also have no water pressure. In order to maintain water pressure, we have a pump that works fabulously. As long as there’s power. Power is needed to cook and clean, to open and close the garage doors, to run the ceiling fans. It is desperately needed for air conditioning and water, for music and television, for the internet. It is necessary to light the night, to keep our phones and computers charged, to run our smoke detectors and our alarm system (though both do have battery backups). When you’re powerless, it’s an odd sensation. You don’t quite know what to do, how to act. You feel out of sorts, almost confused. You feel as if you have absolutely no control. Mostly how I’ve been feeling since November 8, and definitely since January 20. After about an hour, our power whirred back to life. The microwave beeped again, the light lit on my power connection, the overhead fan began to spin lazily. If only it were so easy to regain power as a citizen. If only it took just an hour. Something to think about and hope for as we power forward. Anger. Frustration. Confusion. Violence. Belligerence. Incompetence. Understanding. Hate. Love. Joy. Happiness. Sadness. Resilience. Resentment. Contempt. Acceptance. I am reminded of the words spoken by Rodney King so many years ago: “Can’t we all just get along?” Evidently not. I admit to hearing the news of today’s shooting and having mixed feelings. I am against guns and violence so my first feelings were of disgust. But then I thought how fortunate that those who required medical attention had health insurance. Good for them. I wondered, then, if being shot would qualify as a pre-existing condition. I read the articles, I didn’t watch the news. Everyone always says the right things during times like this. Can’t we all just get along? And no one ever takes responsibility for their role in instigating and perpetuating and wink wink nod nod. Perhaps we could all get along if we didn’t demonize and excoriate and condemn and relentlessly criticize and cajole every person who doesn’t believe exactly as we do. Maybe. I am filled with doubtl. I suffer from these feelings, too. I feel fear and loathing, not for my fellow citizens but for the government. A government of, by and for the people except it’s not. Except that it is. As Donald Rumsfeld so eloquently put it, and to paraphrase: You go to war with the government you have. Only he said army, not government. It’s one and the same these days. The word government can be interchanged with the words representatives, governors, politicians. Each day I grow ever more tired. Each day I try to put it all in the background as I concentrate on my work, my life, my good fortune. Each day, I fight the urge to succumb to it all. Each day, I am successful. So far. Then I begin to wonder: where does it all end? How much more can we take? Can’t we all just get along? My dog is where I find the most joy during the day. He is happy. He bounds through the house, he loves his toys. He lays on his back and joyfully holds his toy, his “guy,” up above him. He has no idea of the angst and turmoil and horror that each day brings. He doesn’t know that we have elected a complete buffoon as our leader. He would greet Herr Hair with the same energy and enthusiasm as he greets our friends. He just loves people. My dog is pure. Fun. Energetic. With a wicked sense of humor. Who likes to talk. Who loves to go for a walk and loves being on the deck over-looking the desert even more. Who curls up on the floor to nap. Who has a Martha Stewart bed in our bedroom (it was on sale at PetSmart) and another one in my office. Who alerts us to creatures crossing the driveway. Who has taught us to pay attention when he’s on high alert and looking up the hill because there are always deer descending or ascending. Who has the life. So much so that in my next life, I’ve decided I’m going to be a dog, with good owners and a nice house, with lots to eat and too many toys from which to choose. In my next life, I’m going to not worry, not fuss, not lose sleep. In my next life, as a dog, I’m going to live in pure joy. As of the end of 2016, the Federal Aviation Administration’s Wildlife Strike Database had reported 70,577 incidents of birds striking aircraft. They started keeping track in 2010. The amount, which has undoubtedly risen in the first nearly six months of 2017, averages out to one strike every 45 minutes. Those are just the ones that are documented. It’s possible there are more. The good news is that only 7% are actually damaging events. One of the most famous bird strikes occurred in January 2009 when US Airways flight 1549 took off from LaGuardia in New York. Two eight pound geese flew into each of the plane’s engines, causing massive failure and the famous water landing that’s been dubbed the Miracle on the Hudson. Birds have been known to dent aircraft. They also don’t discriminate. In 2012, birds hit Air Force Two, with then Vice President Joe Biden onboard, as it was landing in Santa Barbara. I bring this up today not because I was in an airplane that was struck by birds. Rather, I was in a house that suffered a strike this morning. As I have written about before, our house has a lot of glass. Glass on the front of the house, not as prolific as glass on the back, but still prevalent, looking up onto the hillside behind us from the dining room, the front door, and the kitchen. On that hillside, are birds. Ravens and falcons are the big ones that haunt everything and lord over everyone. They occasionally land on the roof but never attempt to fly through the glass. Smaller cactus wrens, woodpeckers, humming birds are more brazen. The biggest culprits seem to be doves. This morning, as I was sitting in my office, I heard a horrendous crash, the noise coming from the vicinity of the dining room. Kevin had already asked me earlier if I had a bird hit the glass in my office. I assured him that what he heard was me slamming a fly swatter against a very large wasp. But this noise, this crash, was obviously a bird. I came out of my office, Kevin out of his, and we met in the dining room. There, on the glass, was a lot of red, some feathers and streaks where the liquid was running down the glass. I gulped, afraid to look down into the portico below. As I got closer, I realized that what was on the glass was not what I feared. It actually had seeds. And was more pink than blood red. But laying in the portico, not dead, was a white winged dove. We’ve had bird strikes before, some that have killed the poor creature. Most times, though, it simply stuns them. They sit, very still, staring straight ahead. Eventually they fly off. This bird had obviously tried to fly through the glass with a piece of saguaro fruit in its mouth. It was the fruit that splattered on the glass. The dove was lying in a pool of juice. It was breathing, its eyes were open, but we were concerned. What to do? Eventually, it righted itself but didn’t move. A longer time later, it began to walk around. We noticed an initial few drops of blood but then nothing. It extended its head, its tail feathers fluffing up and out. It tried to fly but had some trouble, instead settling down onto the portico, in the shade. We checked on it regularly. We hoped that it would be OK. We felt bad. After all, someone – us – dropped a house here in the middle of its desert. In the middle of the homes of all the desert creatures. It’s why we don’t kill anything, especially if its outside. Inside might be another matter. We have killed two scorpions and several spiders. We had a red headed centipede that we had to kill. But generally we try to be respectful. And we don’t like that we have caused several birds harm, including today. After a number of hours, when the bird hadn’t yet been able to fly, I called the Tucson Wildlife Center. They’re a hospital for rescuing, rehabilitating and then releasing all manner of wild creatures here in the desert. I was all set to scoop the bird up and drive it to their facility. I couldn’t let it stay there all night, exposed, hurting, perhaps dying. Riley stood at the window and whined throughout the day. And then, he stopped. I went to check. The bird was gone, having flown away, finally, and hopefully to continue living it out loud in the desert above. On March 15, 1910, just over a year after he left office, President Theodore Roosevelt wrote that “there are no words that can tell the hidden spirit of the wilderness, that can reveal its mystery, its melancholy, and its charm.” He was in Khartoum at the time, leading an expedition to Africa in search of specimens for the Smithsonian’s new Natural History museum. Khartoum is in the Sudan, and at the time, was a burgeoning metropolis. It is now the capital of the region. But at the time, it was surrounded by the white sands of the desert and the rich fauna of the Nile Valley. He wrote those words about the vistas and landscapes he had encountered. I use them today to describe the vistas and landscapes we encountered this morning. I don’t know what compelled me to move west. This magical place was just where I always imagined myself to be. I do know what compelled us to move to the desert. It wasn’t anything we’d ever even considered but when we brought Justin to school here in August of 2009, we knew it would eventually be our new home. Settling into the east side of town, we continually marvel at the vistas and landscapes. We are surrounded by rock and mountains, by saguaros and ocotillos and trees. From our house on the hill we can see for at least 10 miles and probably more. The desert, rimmed by mountains, stretches before us to infinity. Kevin was up early this morning, by 6:15, early for a Sunday, the day we jokingly refer to as “the day of rest.” He didn’t sleep well, probably because he was overtired. Yesterday he started rocking outside, finishing the lower swale, at 5 am. He was done by 7:30 and then he switched to finishing the front brakes on the Classic. Luckily, I convinced him to buy an air conditioner for the garage so it was at least somewhat hospitable in there while the temperatures raged outside. He worked all day, and then couldn’t sleep. I got up about a half hour later, when I heard the coffee pot sputter and snarl and spit signaling that it was almost done brewing. My boys were on the deck. I poured two cups of coffee and went out to join them. We marveled at the calm of the morning, at the temperature just in the low 70s. At 7:30, I said it would be a great morning for a motorcycle ride and suggested we go. I didn’t have to suggest twice. We climbed aboard the Gold Wing and took off south and east. We weren’t going anywhere in particular so we never reached a destination. Instead, we simply meandered, finding a road we’d never taken before and following it. The day was still early; there were almost no cars where we were. Even the churches we went by, and there were many, weren’t yet open for business. We went past Saguaro National Forest east, something that often makes us smile since we seemingly live in a saguaro forest of our own. We headed toward Colossal Caves knowing that we weren’t going to stop, but it gave a place to turn around. The road surface was smooth, unlike so much in the desert. There were no stop signs or stop lights, just a wide open two-lane road. The sun was warm but not hot. I watched quail and roadrunners crossing the road; I watched for deer and cattle. We saw horses, and an osprey that landed in the middle of the road to extract something that used to be something else. In the trees to the east, huge black ravens sat perched on the branches of mesquite trees, their feathers glistening in the morning sun. I was struck by the vastness of it, the desolate nature, and sheer glory of this Sonoran desert we call home. The fuller Teddy Roosevelt quote says: “There is a delight in the hardy life of the open. There are no words that can tell the hidden spirit of the wilderness that can reveal its mystery, its melancholy and its charm. The nation behaves well if it treats the natural resources as assets which it must turn over to the next generation increased and not impaired in value.” That from a republican president. Something to celebrate on this Sunday. When it gets hard for me to find something to celebrate, I turn to nature. 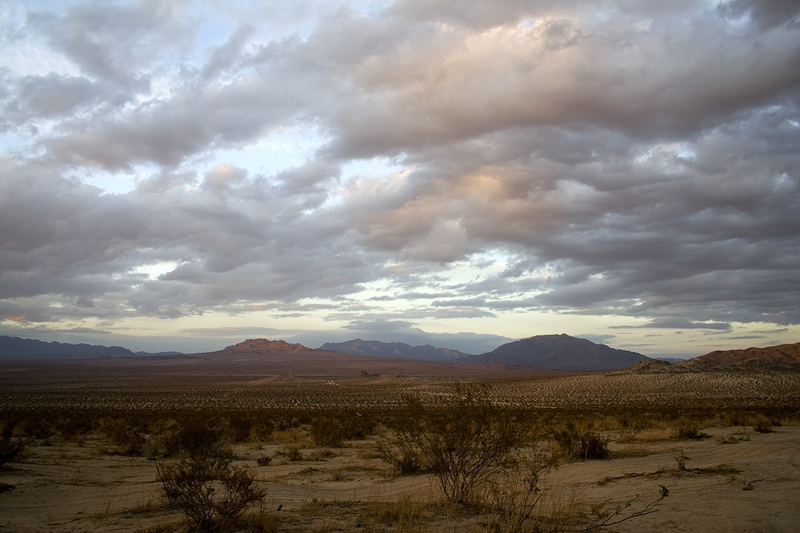 I do that a lot lately, marveling at the color of the sky, the green of the desert, the harshness of the wind. I find solace in the blooming cacti, so many of them sprouting different colors and different shapes of flowers and fruit. The saguaros have done their annual halo of white flowers. They’ve mostly all bloomed and are in the process of drying and dying, to fall and be picked up by birds. While they last, they’re angelic. The tiny cactus that flood the hillsides – I can’t recall their names – have been vibrant with red and hot pink while the prickly pear have been red, and the hedgehog cactus have been pink. The whipple cholla are currently teasing us with an amber, almost copper colored flower. The creatures are out, too. We have deer all year long, and javelina, too. But now we also have snakes and spiders and lizards and toads. And rabbits. All of whom send my Riley into orbit. This morning, after our walk and is his habit, he takes wubba, dashes onto the deck and whips poor wubba back and forth, growling, barking, and generally announcing that any who would dare show their face in his desert. HIS. DESERT. should consider themselves warned. He does not take kindly to intruders, even those who came before him. So there he was, out on the deck, standing guard at the rail, staring into the abyss of the desert stretching beneath him. He seemed fixated on something. His tail was rigid, his ears forward, his body ready to spring. Which he eventually did, bouncing up in the air as if on a pogo stick and barking simultaneously when into his territory came a rabbit. A rather big rabbit by desert rabbit standards. And this one was brazen. Even though there was much commotion happening above him, he seemed to instinctively know that the wild animal in red fur couldn’t get to him. And so, Mr. Rabbit took up a spot just below Mr. Riley, in full view of Riley, taunting, while he proceeded to nibble on a bit of mesquite. He nibbled and nibbled, then sat back on his rear haunches, and stared straight ahead. Riley, big tough dog, could do nothing. Eventually the rabbit got bored of his game and hopped up and over the deck. I thought we might be able to return to some quiet. We hadn’t seen them that close before. Just like the rabbit had never been so brazen before, or the lizards to teasing. Perhaps we’re getting a reputation for being soft on wildlife. Perhaps they know that no harm will come to them here. Kevin and I wouldn’t hurt them, and Riley can’t get to them. There are lizards, and deer, and rabbits. And so many more incredible creatures and wonders in this desert, so many colors, so much extreme and so much majesty. Something to celebrate not just today, but every day. I sometimes dream about existing in a cocoon. Not one spun by caterpillars, not a hard shell, just a safe place. A place where I can be quiet and safe, where the outside world doesn’t intrude; where the inside world comforts. I am not prone to cocooning, not usually. I’m not an extrovert but I’m also not an introvert. I’m private, reserved. I don’t necessarily keep to myself but I don’t let people in easily. It’s hard for people to know me and I realize that at this age, I won’t be changing. I am what I am. But lately, as the world spirals ever out of control for all of us, I feel the urge to crawl into bed and pull the covers up over my head, to burrow, to cocoon, at least for the next few years. Nearly four to be exact unless something happens and it’s less. But it’s still four until we have an opportunity to truly change the trajectory of a country leading the way in the spiral down. I am consumed by news. It’s the first thing I check in the morning, the last thing I view at night. I get News Alerts throughout the day from various sources, often telling me the same thing. I think – I dream – about how nice it would be to not care but I don’t know how to do that. How do you not care about what’s happening in the world? How do you not care that there are those determined to hurt others? That some of those doing the hurting are those in great power, those who control the government? How do you not pay attention to the terror, the fear, the ineptitude, the ridiculousness? How do you absorb the constancy of change, of not knowing, and continue to be upbeat and positive and work and play and drink wine and spend time with friends and family and enjoy life? The answer, of course, is that you simply do. There is no other choice, or rather, the only other choice is unacceptable. I am an optimist by nature. I didn’t used to be but as I’ve grown older I’ve realized that facing the world, facing the day, going through life with a positive attitude is much more conducive to having a happy and positive life. It’s something I actually learned in college when being miserable and feeling sorry for myself for reasons I can no longer remember made for a very unhappy and unproductive existence. Back then, I had to force myself to be positive, to simply go through each day with a smile. I had to pretend that things didn’t bother me. I don’t have to pretend anymore. I made the decision a long time ago. I embrace it now. It’s part of me. It’s easier. And harder. Since November, I find it more difficult to exist in a state of perpetual happiness. I find it easier to be angry and frustrated and hateful. I don’t like it. So I seek a cocoon; I crave seclusion so that I can get back to my life as I know it, as I remember it. Life that is good, filled with love and laughter and potential. That’s the life I embrace; that I crave. The life that is living it out loud.